Shopping is something which bring smiles on everyone faces and when it comes to women the experience is like out of the world. With fast paced life online shopping comes as a saving grace for everyone specially the groceries. With a click of a button the user can order the product online and get it at the door step availing offers and discounts. 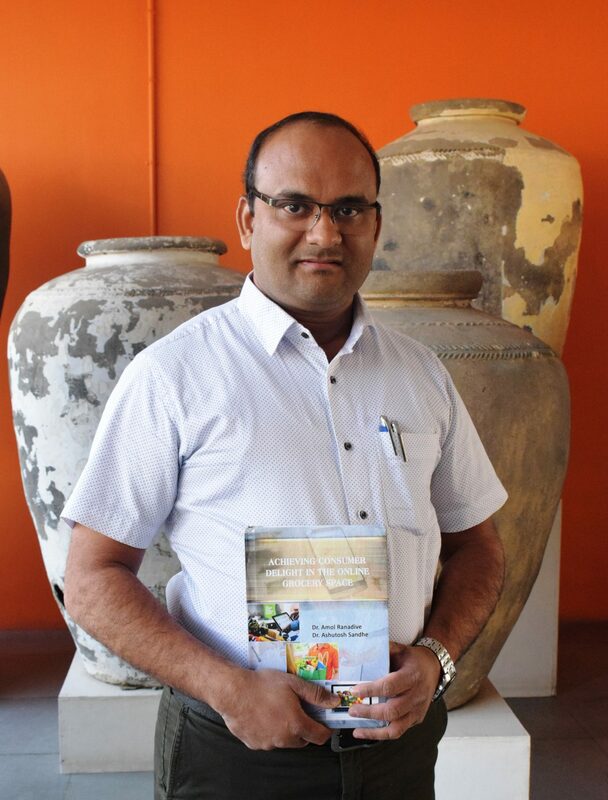 An innovative research on the related topic was carried out by Dr. Amol Ranadive Assistant Professor with the School of Business and Law at Navrachana University in Vadodara. He gives an insight view on the subject and the research has been published in form of a book titled “Achieving Consumer Delight in the Online Grocery Space”. Talking about the consumer insights Dr. Ranadive found more than 85% of single or married working women living in nuclear families are extremely enthusiastic about shopping groceries online. The Indian customers are spending upto 40% of their monthly income on groceries and hence the market potential for selling groceries online is even more than Electronics and Apparels put together. Further in his research he found the “Senior Citizen” segment is still untapped by the Online Grocery Businesses. Development of elder-friendly kiosks and user interfaces can boost grocery business in this segment by upto 200%. The Visual Merchandizing on portals is far smarter and convenient than in-store merchandizing. He feels that the touch & feel, physical shopping experience are some impediments that Online Grocery may never be able to integrate. The factor of non-availability of certain product sizes has diverted consumers from buying groceries online. As per the finding the traditional grocery stores are still posing a challenge to the online grocery businesses. However the online grocery businesses have got a promising future with the integration of new technologies such as IoT and AI. In future, refrigerators, microwaves and storage units will be able to automatically intimate the nearby grocery distribution centres about the existing inventory levels of groceries at home. The online grocers will also be able to predict the consumption of the families for weekly or as much as upto daily basis, based on a family’s past consumption patterns. Dynamic and robust distribution models will create market leaders.